The Palestinian condition can be summed up in one word: Naqba — the Arabic word for “disaster”. While the Israelis celebrate their Independence Day each May, the Palestinian population mourns the loss of their land, liberty and peace on exactly the same date. It’s one of the most tragic contradictions of our times. But the Palestinian people are nothing if not resilient. Through their ordeal they’ve made beautiful cinema, see Elia Suleiman, created mind blowing art like Nabil Anani and succeeded in sports. I could think of several examples of each. I mean, Palestinian singer Mohammed Assaf became the second ever Arab Idol in 2014 despite the fact that he wasn’t even allowed into Egypt, where the competition was filmed. While walls are built to keep them in, Palestinian figure out more and better ways to overcome those obstacles and become better, stronger and more successful. 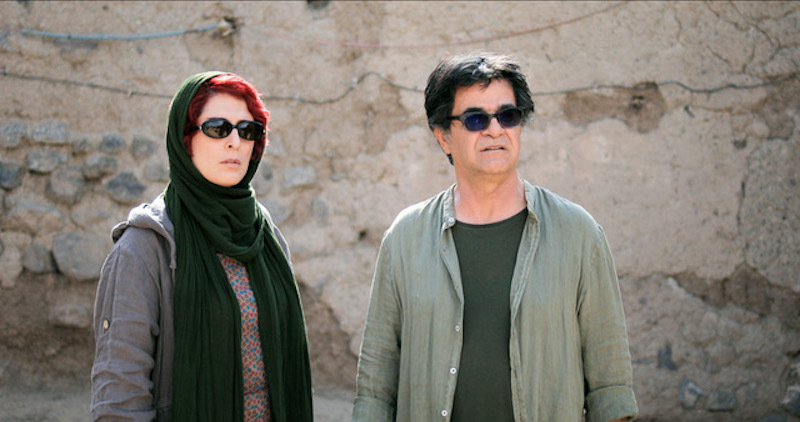 Filmmaker Jafar Panahi has been banned by the Iranian government from making movies, for an unbelievably long while. Yet he continues undeterred in churning out one masterpiece after another. All shot in different locations, each time featuring a new cast of characters, Panahi’s films have continued undisturbed to be staples at international film festivals. Those of us who know and love his distinct brand of filmmaking, where within his kind and well thought out delivery he still manages to packs a big punch, also follow him on social media. His Instagram alone is a pleasure for those who wish to witness a bit of his genius on a nearly daily basis. And in fact, it was his presence on social media that inspired his latest work — ‘3 Faces’. The film premiered in Cannes earlier this year and will be featured at the 1st Iranian Film Festival New York at the IFC Center in early January 2019. During this year's Locarno Festival, a few of the films I watched although narrative features, felt more like documentaries. Wonderfully gratifying documentaries without judgement or a cliche point of view in sight. One such film was Leonardo Guerra Seràgnoli's 'Likemeback'. Perhaps because of the spontaneous acting by three exceptional young women -- Angela Fontana as Danila, Denise Tantucci as Carla and Blu Yoshimi Di Martino as Lavinia -- or maybe due to Guerra Seràgnoli's script and intimate way of filming this trio of friends on vacation on a sail boat, 'Likemeback' felt real. In this age of #MeToo and TimesUp movements, 'Likemeback' offers a cautionary tale on the power of female sexuality and seduction and how that can be harnessed for the worst intentions. But it also places us in a front row seat on viewing the dangers of social media, when in the hands of the young and inexperienced.